Two journalists from East Timor will benefit from the Balibo Five-Roger East Fellowship in 2018, an initiative of the Media, Entertainment & Arts Alliance and Union Aid Abroad-APHEDA. They were chosen from four outstanding applications assessed by a selection panel in Australia. Maria Pricilia Fonseca Xavier, a journalist and news broadcaster in Tétum and Portuguese at Timor-Leste Television (TVTL). Augusto Sarmento Dos Reis, senior sports journalist and online co-ordinator at the Timor Post daily newspaper and diariutimorpost.tl website. The Balibo Five-Roger East Fellowship has been established to honour the memory of the six Australian journalists murdered in East Timor in 1975, and to improve the quality and skill of journalism in East Timor. The applications were assessed by a panel of MEAA Communications Director Mark Phillips; Union Aid Abroad-APHEDA Organiser Trade Union Development & Education for Timor-Leste and Indonesia, Samantha Bond; Senior Lecturer in Journalism at Charles Sturt University, Bathurst, Jock Cheetham; and former television journalist and newsreader Mal Walden, who was a colleague of three of the Balibo Five. The successful applicants will be provided with funding to assist them with specific journalistic projects in Timor. It is anticipated that each will also be offered the opportunity to travel to Australia in 2018 to spend some time observing and working in an Australian newsroom. MEAA chief executive Paul Murphy said all the applications were again of a high quality and representative of the diversity of journalism in East Timor. “We are well aware that is not easy to work as a journalist in Timor-Leste, and journalists face many hurdles including a lack of resources and training, and attacks from the government on press freedom,” he said. “But we are delighted that the successful applicants represent both print/online and broadcast media, and there is a balance between genders. Funding for the Balibo Five-Roger East Fellowship has come from MEAA, the Fairfax Media More Than Words workplace giving program, and private donations. The fellowship was established on the 40th anniversary of the murders of the Balibo Five in 1975. 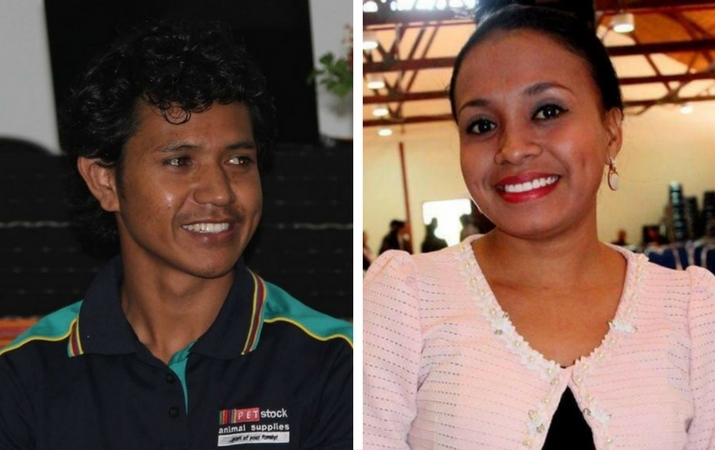 Last year, four journalists successfully applied for funding from the fellowship, while separately the fellowship assisted Timorese journalist Raimundos Oki to spend a week with Fairfax Media in Sydney in September. The fellowship carries the names of six journalists who were murdered by Indonesian forces in East Timor in 1975. Five young journalists working for Australia’s Seven and Nine networks – reporter Greg Shackleton, camera operator Gary Cunningham, sound recordist Tony Stewart (all from Seven), reporter Malcolm Rennie and camera operator Brian Peters (both from Nine) – were killed in the village of Balibo after witnessing an incursion by Indonesian soldiers on October 16, 1975. Their killers have never been brought to justice. Freelance reporter Roger East, a stringer for the ABC and AAP who provided the first confirmed accounts of the killing of the Balibo Five, was executed by Indonesian troops on Dili Wharf on December 8. His body fell into the sea and was never recovered.